Thank you for signing the Guest Book for Michael Pekarsky. Please take a moment to sign the Guest Book for Michael Pekarsky. Leah, my thoughts and prayers are with you and your family during what can only be such a difficult time for everyone. An excellent lawyer and very kind man. I always enjoyed his company. 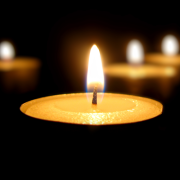 Dear Linda and the entire Pekarsky family: Our thoughts and prayers go out to you,Mike,and your family at this difficult time.Please accept our condolences. Send me a daily email when updates are made to the obituary or Condolence page for Michael Pekarsky.